The comedy starts when the cross-dressing begins The Kobayashi twins, Mego and Mitsuru, were named after historical figures, but only Mego has grown up with a taste for history. So when Mitsuru is in danger of losing his weekends to extra history classes, he convinces his sister to swap clothes with him and ace his tests After all, how hard can it be for them to play each other? But Mego can't rely on just her book smarts in Mitsuru's all-boys, delinquents' paradise of a high school. And Mitsuru finds life as a high school girl to be much more complicated than he expected. Go Ikeyamada is a Gemini from Miyagi Prefecture whose hobbies include taking naps and watching movies. 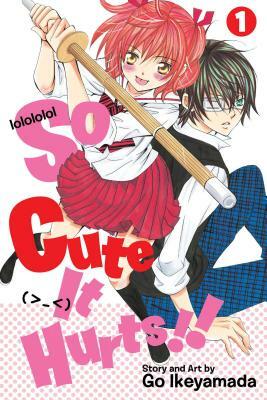 Her debut manga Get Love!! appeared in Shojo Comic in 2002 and her current work So Cute It Hurts!! (Kobayashi ga Kawai Suguite Tsurai!!) is being published by VIZ Media.